If you are a dog lover with a heart, please continue reading. 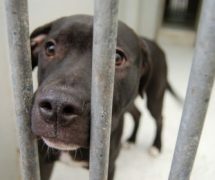 There is a serious situation where dogs will be put down if they cannot get a home. The situation is almost at breaking point and we are going to lose some of our kennel spaces next week as the demand for boarding increases during the holiday season. This means that dogs will die if we cannot offer them a rescue space, foster home or an emergency kennel. The pound is full of bull breeds, yet again, and it is highly likely that we will need to make the worst decisions ever next week – which ones would you choose to die?? If you can offer a foster home, even if it is only for the holidays to help take the pressure off these essential, life-saving kennel spaces, you will save lives. We are not exaggerating the scale of the problem! If you are willing to offer a place for a dog in need, please contact us on 07545 822919 or email Kate at fosters@hoperescue.org.uk. If you are one of our existing foster homes and either don’t have a dog at the moment, or could make room for another one, please check the list of dogs needing foster homes or those on the list for rescue spaces. If you can help, please contact us on 07545 822919, email Nicky at fosters3@hoperescue.org.uk or PM her (forum name da1sy1). Please pass this message on to friends, family or work colleagues – anyone you think might be willing and able to help. Thank you! I literally had tears in my eyes. I really wish I could help but due to my dog having health problems, I can’t house any dogs myself. That’s when I thought of you amazing people on Wicid and CLIC. Are you able to temporarily look after some dogs in aid of helping these poor creatures? Dolly Daydream – Ten month-old staffie x. Dolly is an adorable ball of fun and love. She is good with other dogs out and about but we feel she would be best suited to a foster home as the only dog. Dolly is untested with cats. 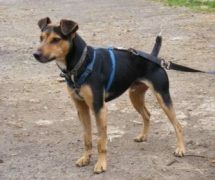 Bernie – One year-old crossbreed (probably beagle x staffie – we think!). 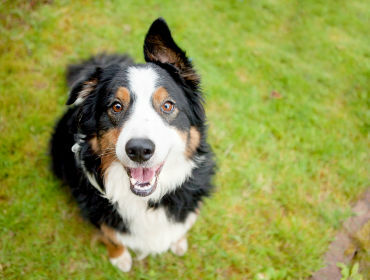 Bernie is currently in our emergency boarding kennels in Caerphilly. He is dog friendly and is looking for a cat-free foster home. Resident children would need to be 10+ as he can find young children intimidating. Bernie is house trained and has good basic training. He is a lively and active dog. Cody – Eight month-old red lurcher. The lovely Cody has come to us from the pound and is looking for a foster home. Cody is dog friendly but untested with cats. He is a typical adolescent lurcher – fun, loving and into everything! Toby – Twelve month-old staffie x. Toby is a busy and playful pup. His finder kept him for a couple of days and he was great with her dog. He is very puppy-like in his ways still so will need some basic training and someone to play with! Buddy – Lovely twelve month-old brindle and white staffie x who has come in to our care from the pound. He is very people friendly, travels well in the car and is good at the vets. He has been good with the dogs he has been assessed with. Major – Eight / nine month brindle and white old crossbreed. 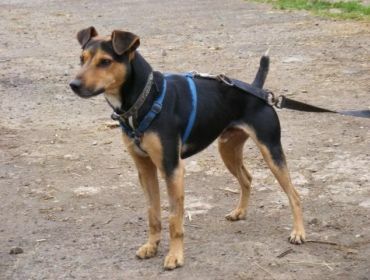 Major came from the pound and is very well socialised with people, loving to bask in attention and cuddles. He is dog friendly but untested with cats. Obi – Twelve to eighteen months’ Staffordshire bull terrier. He is a friendly and well socialised boy who is very affectionate with people and has been good with the dogs he has mixed with in kennels. He is looking for a foster home without cats. If you can help, it would mean so much. Thank you. AWH! I really wish I could, but my dog doesn’t really like other dogs… She’s more of a cat person. I know what you mean. My dog has health problems so she’s irritable around other dogs. BUT my dad has put his name down for one of them! I’m so chuffed (yeah, my parents are divorced. Still friends mind so doo da doo, it’s all good!). Ahhh! 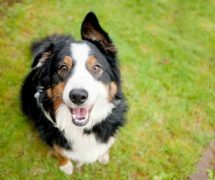 I wanted Bernie – my dog is a Beagle cross! I did think of persuading my dad to get one, but he hasn’t really got a garden so it would be pretty impractical. I did spread the word today, as best I could! Good news so far! There are people from my mother’s work that have taken an interest and my dad is getting in contact with Hope later today! BethanTheBarmy:- Bernie is sooooooo adorable! He’s like a ball of fur! He’s so soft and silky and you just want to hold him for hours on end! I was sitting on the Pets At Home floor with him (where I first met him and Hope Rescue) and my mother had to practically drag me from out of there in the end! My dad hasn’t got much of a garden but there’s like a small patch of garden for him to use as his loo, then I’ve said I’ll walk him everyday and on really wet weather days, we’ll throw some toys up and down the stairs like we did for Fidget.